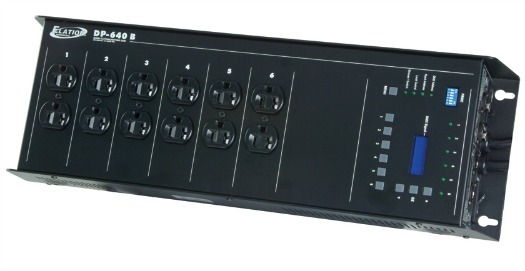 The DP-640B DMX Pack is a hybrid 6-channel portable dimmer/switch pack that supports up to 2,400W per channel and 4,800W maximum total output. 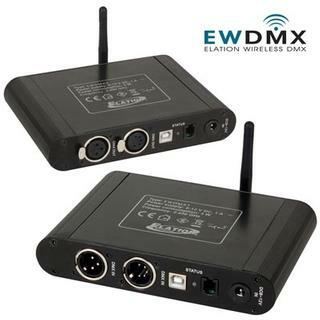 Each channel can individually be set to dim or switch and be controlled via a unique DMX addresses. Each channel can be conveniently manually controlled via an easy to use digital display and function buttons. 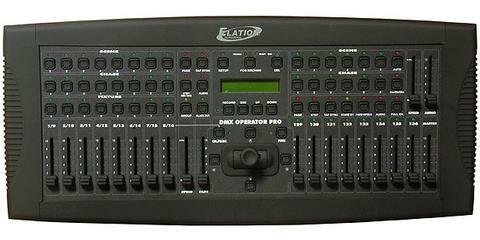 The Panic function allows you to select desired channels to switch on constantly via the six dip switch settings. 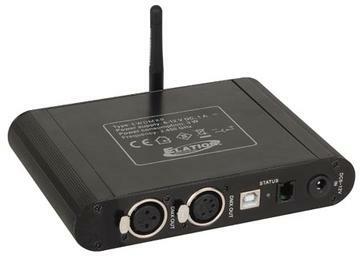 Features includes a digital control display, LED indicators for each channel, 3/5pin XLR DMX input and output, a die-cast aluminum chassis, and a hanging bracket is included for truss/clamp installations.